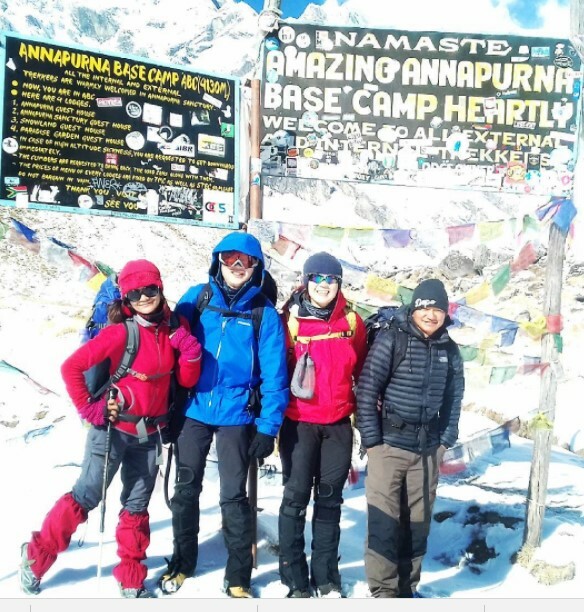 Annapurna base camp is one of the must beautiful treking in Annapurna Region which is a moderate nature trek.that starts at Nayapul 1 hour drive from pokhara . which takes you to the foot or Mt. Annapurna one of the most megnificent peaks in the world . The principal peaks of the western portion of the great Annapurna Himal.including Himchuli, Annapurna south ,fang, Annapurna 1, Gangapurna ,Annapurna 3 ,and machhapuchre are Arranged Amost precisely in a circle about 10 miles in diameter with a deep Glacier-covered Amphitheater at the center.The trail start from low land villages and rice terraces deep in to the Annapurna himal.as you gradually climb up hill, the peak of Annapurna south and Himchuli emerge form behind the foothills. pastures and cultivated fields soon give way to deep forests of Oak, Bmmboo, and Rhododendron.the trail takes you through fascinating traditional villages of Nepal,s ethnic communities of the Gurung ,Magar, and Thakali who will greet you very warmly if you cared to stop for a conversation.the trail finally stumbles across moraines and reaches Annapurna sanctuary from where you will see undeniably beautiful and unimaginable 360 digree views of the Annapurna mountain renges. The Annapurna base camp trek will be even more interesting in spring as the whole forest along the trail Red ,pink, and white with Rhododendron flowers.this wonder trip can be done any time of the yearexcept during the monsoon (july - August).